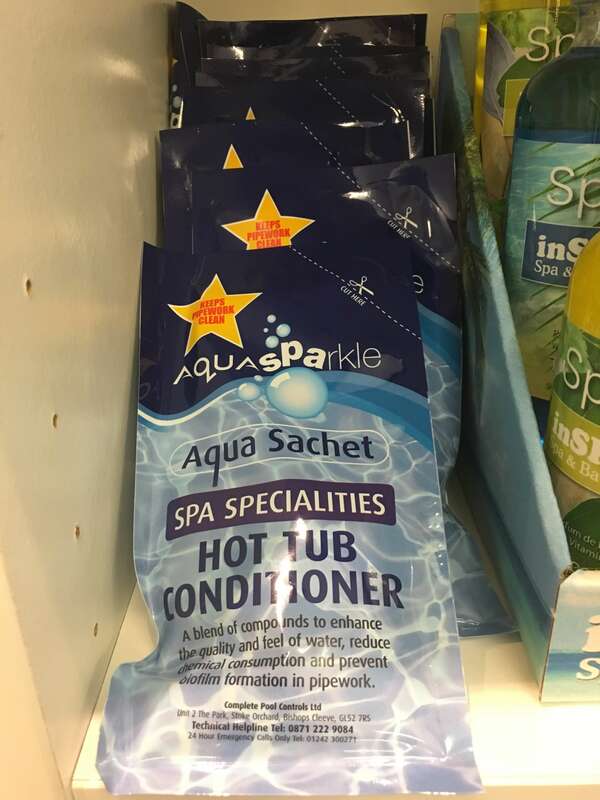 One of our favourite products to keep our own hot tub in tip-top condition is Aquasparkle’s Hot Tub Conditioner, which can be purchased from our Cornwall Showroom. It is simple to administer as it comes in a single, pre-measured 80ml dose treatment, which means that all that is required is to snip the corner off and pour into your spa! No messy pre-mixing or measuring, which for Lucy is an added bonus. The beauty of it is, that whilst its main purpose is to prevent Biofilm forming in your pipework and reduce chemical consumption, it also enhances the quality and feel of your water. It also smells absolutely gorgeous as it contains lavender oil. 1. Maintain sanitiser and pHlevels within the desired operating ranges. 2. On opening the sachet via the“scissorscutarea”,pour the whole sachet of Hot Tub Conditioner directly into the hot tub water. 3. For optimal results, dose weekly: one 80ml sachet per 1,000 litres (220gallons) of spa water. Note: As Aqua Sachets cannot be re-sealed, the whole sachet must be used in one treatment.